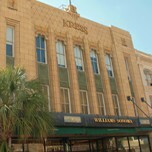 Learn about the the Charleston office's relocation to the historic Kress Building. The Charleston office has moved to the historic Kress Building, located in the heart of downtown Charleston! Charleston, a seaport since the 17th century, embodies some of the best that the South has to offer: living history, fine dining, scenic seashores and a busy market district. A city best known for its charm and climate, Charleston continues to grow as a center of business, education and commerce. Ranked 2nd on Livability’s list of Top 10 Downtowns, based on factors such as walkability, dining, historic attractions and festival. Charleston was ranked one of the Best Cities for Young Entrepreneurs by Under30CEO.com (2013). Charleston was ranked the No. 1 Best City in the World by Conde Naste Traveler (2012). Ranked 9th on the Milken Institute's list of America's Best Performing Cities, based on job and salary growth (2012). Ranked on the Forbes Best Places for Business and Careers list, and on the Forbes Top Mid-Size Cities for Jobs list (2012). Our building (Kress Building) is on the right at the corner of King St. and Wentworth St.